In 2015, Hickory Telephone Company celebrated 110 years in the local community. We feel proud to be a part of Hickory and it's surrounding areas, and we are thankful to the loyal subscribers who have supported us all these years. We truly feel that you are not just our customers, you are our friends and neighbors. We got our humble start in 1905 when the company commenced operation as the "Woodrow and Hickory Telephone Company", with only 13 subscribers. Our history is outlined below. Over the years, Hickory Telephone has had to evolve to keep up with our changing world and technology. It has not always been easy to be a small local company in an industry that changes overnight. Gone are the days when a land line phone was our only method of communication. Gone are the days when people were willing to patiently wait while their modem connected to the Internet. We have taken on the challenge of offering state of the art services, while sticking to our local roots and providing the customer service our subscribers expect from us. Hickory deserves nothing less after supporting us for 110 years. Prior to 1905 there were a limited number of telephones in Hickory. These were found in a doctor's office, a store, in several gas companies, and in the home of Henry Kinemond. The public could also make calls from a pay phone placed in the Retzer store by Bell Telephone Company in 1901. This system was part of the larger Pittsburgh-Wheeling Lead, which relayed messages to Canonsburg where a connection with Bell could be made. An additional pay phone was later added in a store owned by J.M. Marquis. In 1903 there was talk of placing a connection to the Pittsburgh-Wheeling Lead in the Woodrow Supply Company building, owned by Squire James Buchanan and operated by R.S. Flanegin. However, Squire Buchanan had the larger ambition of beginning a phone exchange in his store, making telephone service available to customers in their homes. At first, he was met with resistance, but by late 1904, the Woodrow and Hickory Telephone Company was organized. A negotiation with Bell Telephone Company allowed toll service to be provided to Woodrow in January 1905. The original subscribers were: James McGugin, H. S. Buchanan, Rev. J. W. Borne, W. M. Paul, James and Edward Caldwell, The McPeak Bros. Lumber Co., Dr. D. L. McCarrell, Dr. McElroy, Dr. Conner, The J. M. Marquis store, Squire Buchanan, Farmers National Bank and the Retzer store. This is the Woodrow Supply Company building, where the first telephone exchange in Hickory was held. The people are Mr. and Mrs. Flanegin, and a niece, Miss Gorman. Early subscribers paid a membership fee of $10. The subscriber was responsible for putting up poles and wire. Poles could be acquired by cutting down trees or they could be rented from the telephone company. The company would string up to a half mile of wire towards the house. In addition, anyone willing to allow telephone poles to be placed on their land was given their choice of stock in the Woodrow and Hickory Telephone Co or $10 a pole. In 1907, the phone company was moved to Hickory in a building originally meant for the Woodrow Creamery Company. It was also the house of the Acheson Family. Gertrude Acheson was the first operator. She received 15 dollars a month for use of her house, furnishing the utilities of the company, and her services as operator. The phone exchange was in a room on the bottom floor of the house. The house, which is still standing today, is located next to the present telephone company. The officers were Pres. Rev J. W. Borne of the Trinity Lutheran Church, Vice Pres. James A. McGugin, Secretary R.S. Flanegin, and Treasurer W. M. Paul. Paul was also the first manager. The exchange was moved to this building in the room marked with an X.
Pres. Rev. Borne enforced several interesting rules. One such rule was that no profane language would be spoken over the phone line. The fine for doing so was $1. If the fine was not paid, service was disconnected. In addition, there was a five-minute time limit for using the phone, also punishable by a $1 fine. Common conversation was not permitted over the line when it was needed for business. In 1919, the company was incorporated. It took on the name of Hickory-Woodrow Telephone Company. Early telephone systems required operators. At the Hickory-Woodrow Telephone Company, two operators worked at a switchboard at a time. There were three shifts - a day shift, a 4:00 to 8:00 shift, and a night shift. A person wishing to make a call would first ring the operator, by turning a crank on their phone. The operator would insert the back answering jack into the line that was calling on the switchboard. They then could connect the person calling with the person being called, by inserting the front answering jack into the line being called on the switchboard. Usually five or six houses were on one line, called a party line. If anyone on the line was using the phone, no calls could be made or received by any of the houses. Every phone on the line rang for each call made. The phone would ring differently for each house, telling the recipient if the call was for them. For example, a phone number of 23 meant 2 long rings and 3 short rings. People could easily listen to their neighbors' phone conversations by picking up the line. If people were listening in on the line, it was more difficult for an operator to ring a call through, because the telephone ring would be weakened. Operators offered some helpful services to customers. One service was to refer calls to another home if a person was visiting a friend or relative for the day. Also, operators took messages for people who would be away. When a person returned, they called the operator to get the messages that they missed while away. The operators ran a booth outside, similar to a pay phone. People stopped by off of the street to make calls and the operators placed the calls for them. Vince Paul became manager of the Hickory-Woodrow Telephone Company in the 1930's. In 1950, Lee Adamson took over the job until his death in 1985. His son, Grier Adamson currently manages the company. The company was moved several times before 1947, when it moved into the Retzer and Scott General Store building. The telephone company and general store operated in the same building until the building was condemned in 1956. A new Hickory-Woodrow Telephone Office was built in 1956 on land bought from Mrs. Jane T. Caldwell. The design for the building was drawn by John Douglas. 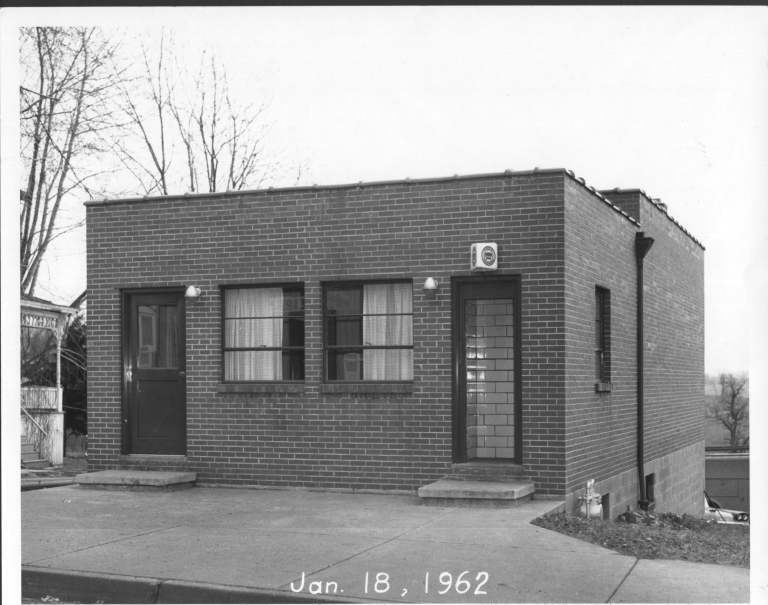 In 1962, an addition was made to the office. The addition was a mirror image of the original design. The Retzer store once housed the telephone company. This is the current building, built in 1956, before any additions were made. At 12:00 A.M. Sept. 16, 1964, a toll dialing system was installed by ITT Kellogg. This allowed long distance service without an operator. The system connected subscribers of the company with 90% of the telephones in the continental United States and many in Southern Canada. In 1972, a poll was taken of the subscribers of the company to see if Extended Area Service was wanted. The plan would increase the calling range outside the 356 area with no toll charge. However, rates would increase. The plan was voted down. In 1977, the poll was taken again, on request by 88% of the customers. This time, 89% of the customers voted and 70% were for the change. As a result of this vote, digital equipment was purchased from North Electric. This equipment allowed toll free calling in Washington and Canonsburg. It also provided touch-tone calling, call waiting, and call forwarding to customers. The equipment change was completed in 1979. The name of the Hickory-Woodrow Telephone Company was changed to Hickory Telephone Company in 1981. Hickory Telephone Company opened ATS Mobile Communications in 1988, in Robinson Township. It moved 3 years later to the Sewickley area, then merged in 1993 with the Hickory office, after additions were made in 1992. ATS provided business mobile radio service, known as SMR or Specialized Mobile Radio. ATS was discontinued in 1999. In 1993, the MITEL GX5000 Digital Switch was installed. This new equipment allowed caller ID, return call, repeat call, customer call trace, and remote switching capability. The change was necessary to keep the independent telephone company in competition with larger companies. A Tekelec Eagle STP was also purchased to increase service and features to customers. Hickory Telephone Company added Internet to its list of services in 1996, by installing an HP Redundant Server and Backbone. Hickory Telephone Company's services expanded again in 1999 with the purchase of Nextlevel/Motorala digital video equipment. The company began offering DSL and Digital TV services shortly after. In June 2012, HTC launched Aurora from Hickory Telephone, which delivers HD TV & DVR, high speed Internet, and digital voice over a fiber to the home / curb network. Aurora is currently available in Hickory PA, Avella PA, Southview PA, Westland, PA and areas of McDonald PA, Houston PA, Atlasburg PA, Cherry Valley, PA and Burgettstown PA.